Twila Combs (79 yrs) and Betty Morris (82 yrs) lived at Bates, Oregon when the mill was running and logging was king. Together with their husbands, they bought cabins near Bates in the early 1960s, which were located on Hines Lumber Company land. Twila and Betty raised their families in Bates, lost their husbands, but still held onto their cabins. When Hines sold out to the Forest Service, the elderly ladies' yards became Federal land. 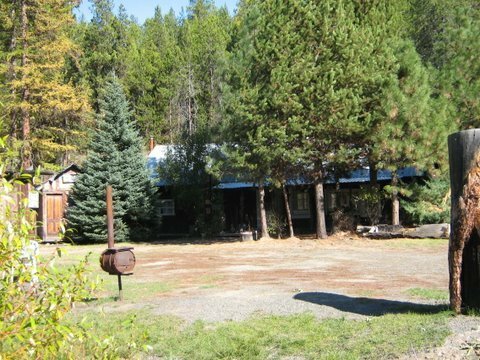 Because the cabins ended up on National Forest, through no fault of theirs, the Forest Service gave each lady a life estate special use permit. Soon the fee was raised to $40 for each lady to live in her own cabin. Then the fees went up to $100/year. 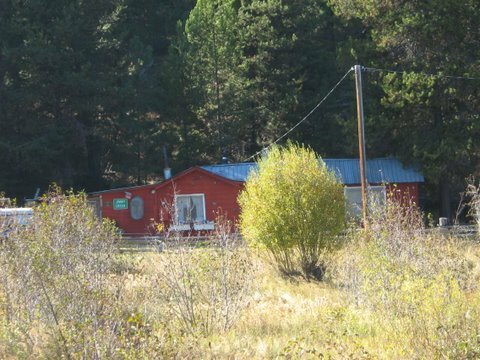 As they got older, both Twila and Betty had to move into Baker City for much of the year, but they held onto their little cabins, paid the $100 fee, and treasured the times they could use these cabins, and treasured the memories of better times. Then in 2007, the Forest Service suddenly decided they had to kick the ladies out of their homes. The bureaucrats knew quite well that these two ladies lived on fixed incomes. Thus, they were probably pretty certain that neither lady could pay $1,000 for her permit. So the Forest Service raised the fees and told the ladies they would have to pay or leave. Stan Benes, the former Malheur Forest Supervisor, was unhappy about what his agency was doing to the elderly ladies, and intervened with a proposal for the ladies to pay $400 the first year, $750 the second year and $1,000 the following years. That was about all he could do. Stan ended up quitting his job with the Malheur Forest and gong back to Montana. Twila and Betty were able to pay the fee in 2008, but they cannot come up with $750 for next year or $1,000 for the following years. I personally think this is outrageous. The Forest Service does not care about Twila and Betty, or any other Forest user for that matter. Heck, the fee increase wouldn't even pay for their office coffee fund. The government could have just left the ladies alone and let them enjoy what was left of their lives. But that is not the bureaucratic way. All the Forest Service cares about is getting rid of these two elderly ladies, and any happiness they might have when they stay at their Bates cabins. EOMA is accepting donations to help these ladies pay their fees for next year. The Malheur National Forest should be ashamed of their actions in this matter. If you would like to donate to this cause, EOMA has set up an account to help pay the cost of these fees. Any and all donations are appreciated.